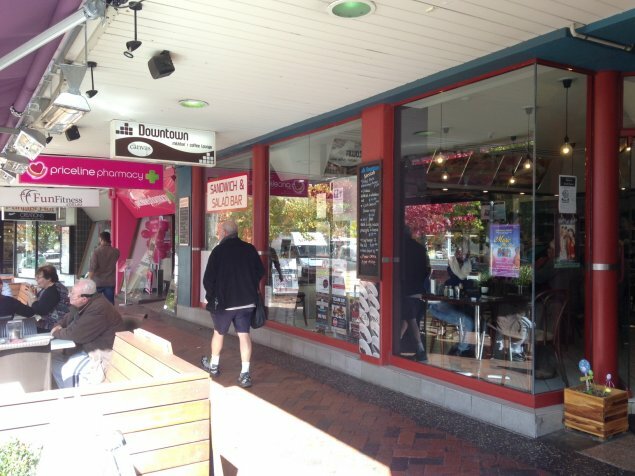 Downtown Milk Bar in Manuka is one of my favourite places in Canberra. It’s so “old school” without the need for vintage lamps, mismatched furniture, or old beer bottles for water. This place is actually what a traditional milk bar should be, but with a modern twist that doesn’t take away from its vibe. I went through a bit of a phase (read: obsession) with their sandwich bar a year or so ago. Nothing better than a big, fresh salad roll. Mmm. But I returned to ye olde milk bar this week with the challenge of a delicious lunch for under $15.00. A challenge easily met! When I arrived, it was close to the end of the typical lunch hour but it was still packed. About eight or nine people at the counter either lined up waiting to order or picking out the contents of their sandwiches, and most of the tables inside and out were full too. I pondered the menu for a minute or so before ordering (who doesn’t like quick service?!) 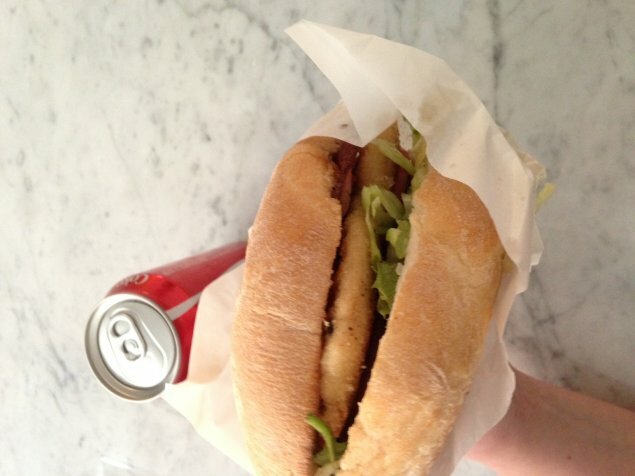 and settled on the chicken schnitzel burger. Despite there being a whole line of orders to be processed, my burger was ready in about four or five minutes – and I watched them make the whole thing fresh. Super impressive for a small cafe. I took my burger to go and headed back to work. Points awarded for the burger not being soggy either! The burger had a fresh chicken schnitzel – not too overcooked or overcrumbed which was nice, crispy bacon, tomato, lettuce, sweet chilli sauce and a squeeze of mayonnaise. The bun was crunchy on the outside and soft on the inside. All round, a really decent burger. Too big for me to finish! 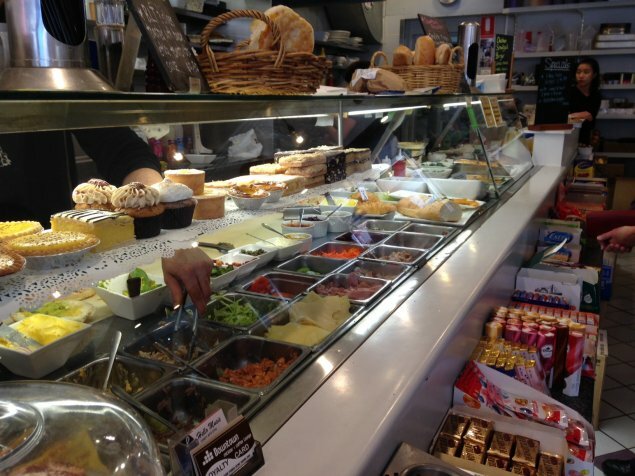 Downtown Milk Bar is an awesome location for Cheap Eats. My burger and a drink was $12.50 all up. While I was waiting for my order I scanned the menu in a bit more detail and I could not find anything on the menu that would push the cost past $15.00 with a drink included. The most expensive menu item was about $12.00. If you’re not into studying menus like I am, there’s also an amazing range of gourmet chocolates to ogle over, maybe taking one or two home with you.